This is not so much popular with foreign tourists, but particular with Thai’s themselves a popular sightseeing spot near Bangkok. 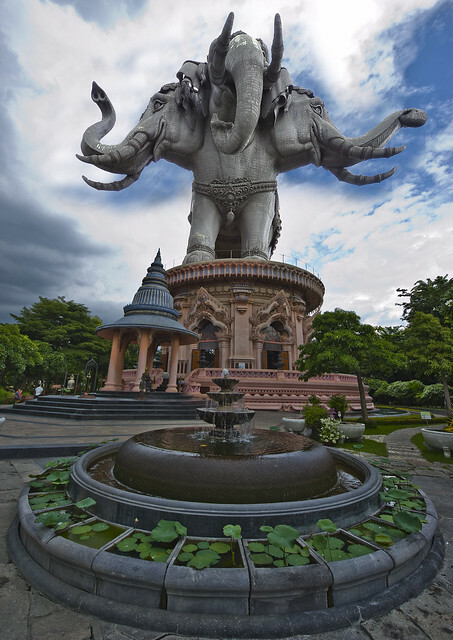 The most famous sight here is the three-headed elephant. You can actually walk around inside, where there is a museum over three storeys. Inside you can find lots of religious art and sacred objects of Buddhist worship. It took many years for the construction of this museum to finish, but even during this construction phase people from all over the country came here to worship. If you are interested in Buddhist and Hindu mythology and religious art, this is a must-see place to visit near Bangkok.